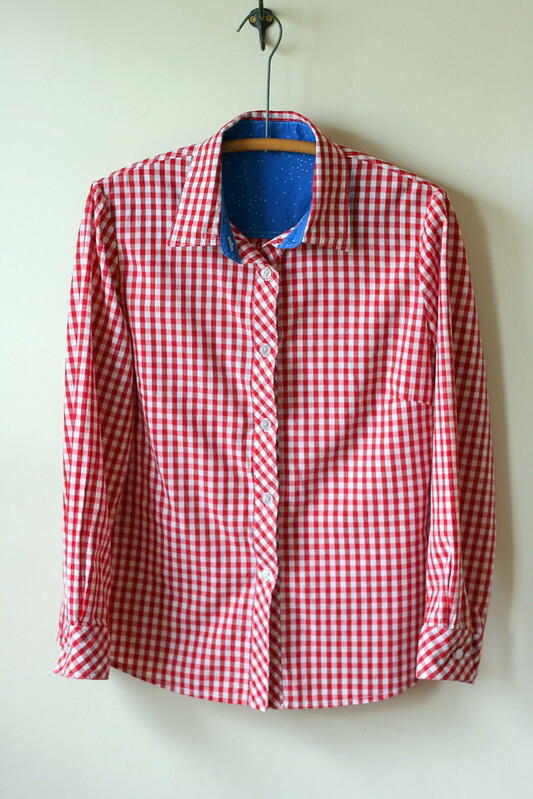 Simplicity 1538 in Red and White Gingham, or… A New Shirt for Spring! 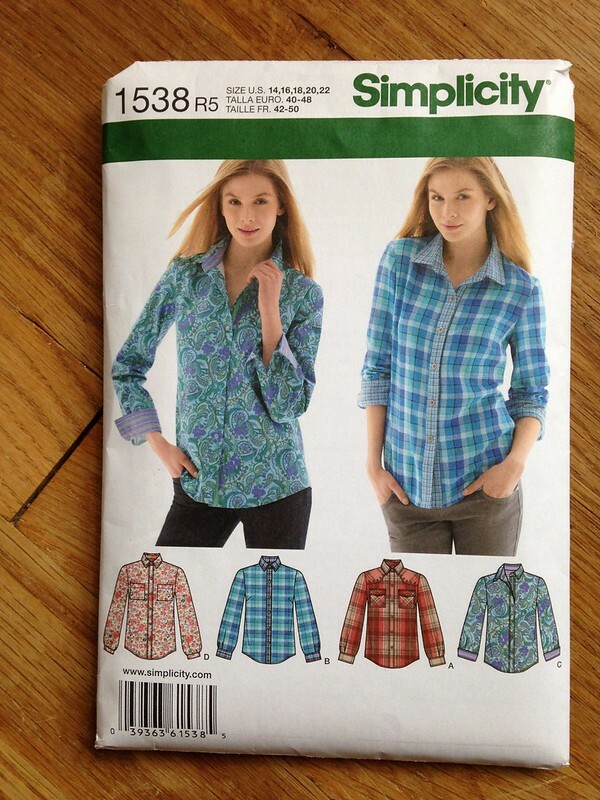 It can now be officially established (if it wasn’t before) that Simplicity 1538 is a Tried-N-True (TNT) pattern for me. 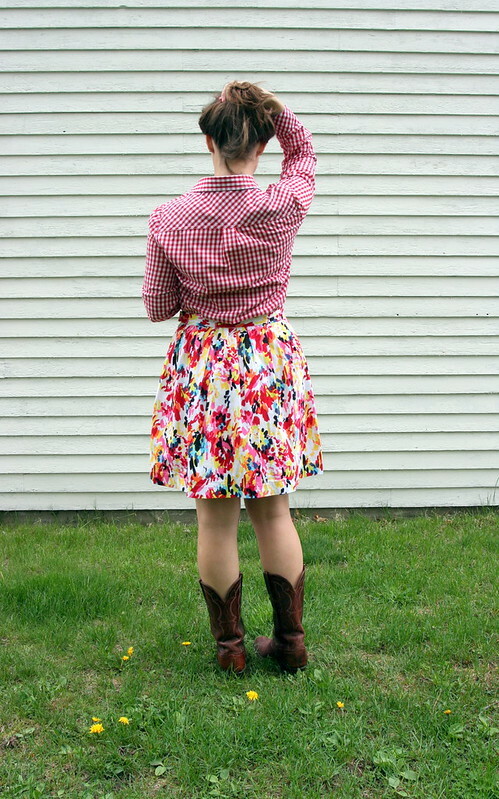 I think this is my fifth one (see previous versions here: wearable muslin, pink tiger quilting cotton, flannel, flannel with pearl snaps). I love this pattern. 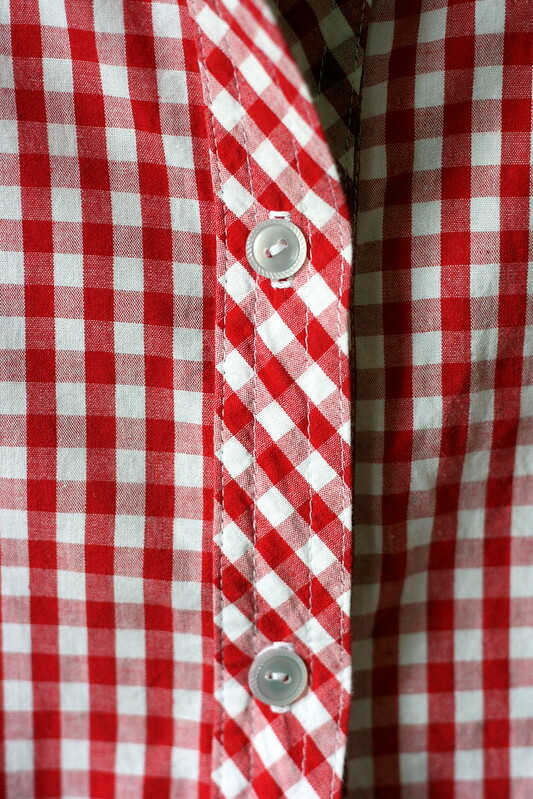 Today’s iteration is made in a high-quality red and white gingham from Pintuck & Purl with quilting cotton accents (one of the Cotton & Steel Sprinkle fabrics) from the same store. 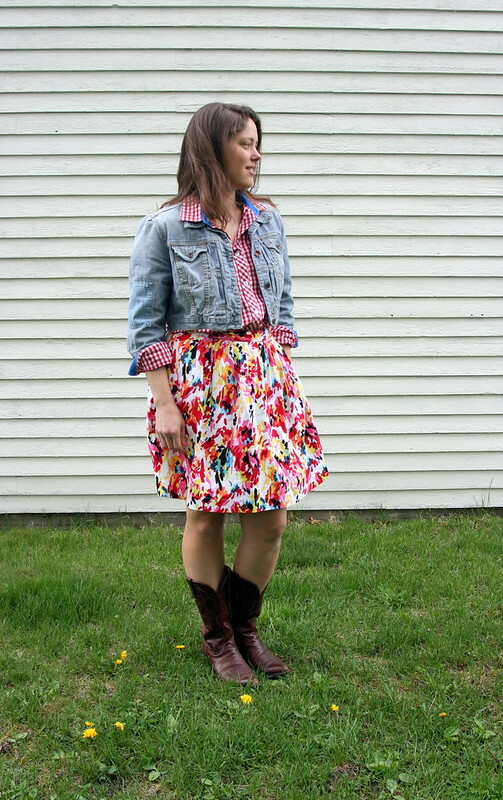 Buttons are from Jo-ann Fabrics. 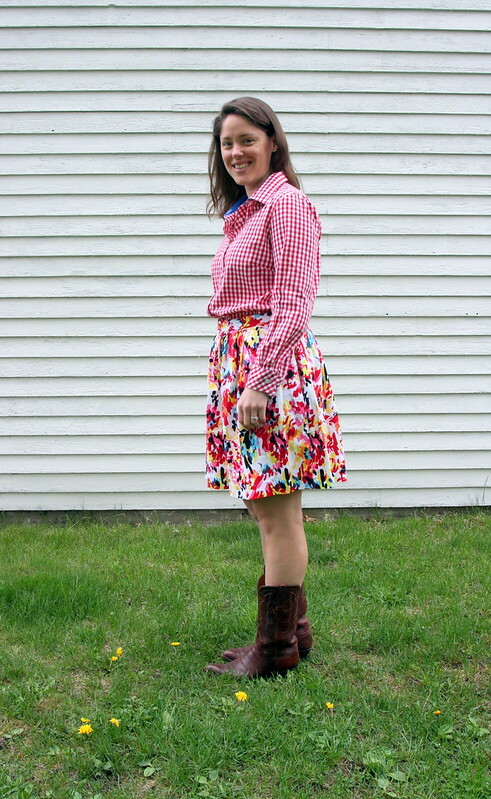 I was inspired to add these fun blue accents after I saw a shirt by another sewing blogger (unfortunately, I can’t find my inspiration picture anywhere!). I love those little details whether they are hidden and only something I know about or if they peek out and add to the look of the garment as a whole. This project in particular really brought home how much fun those little details can be and make me love shirt-making even more. 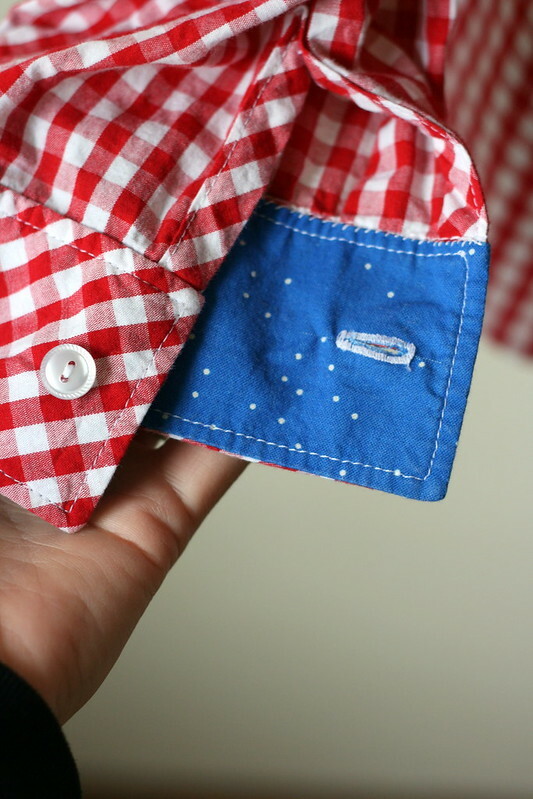 Shirts and jeans are great canvases for these kinds of creative touches. 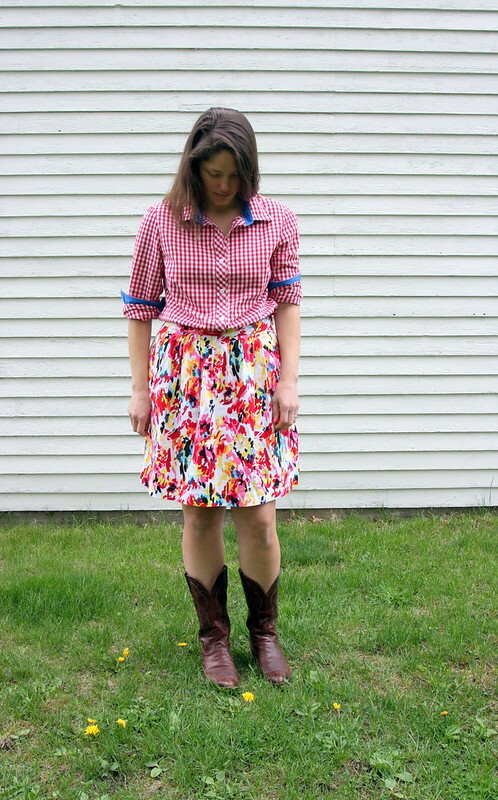 I didn’t do anything new to the pattern fitting-wise. You may or may not remember from previous posts that this shirt is a 16 at the bust, graded out to an 18 for the waist and hips. I also lowered the dart and did a major broad back adjustment (more about that here). Those things are pretty standard for me when making woven tops, and it’s great to have a pattern where all that stuff is already done. 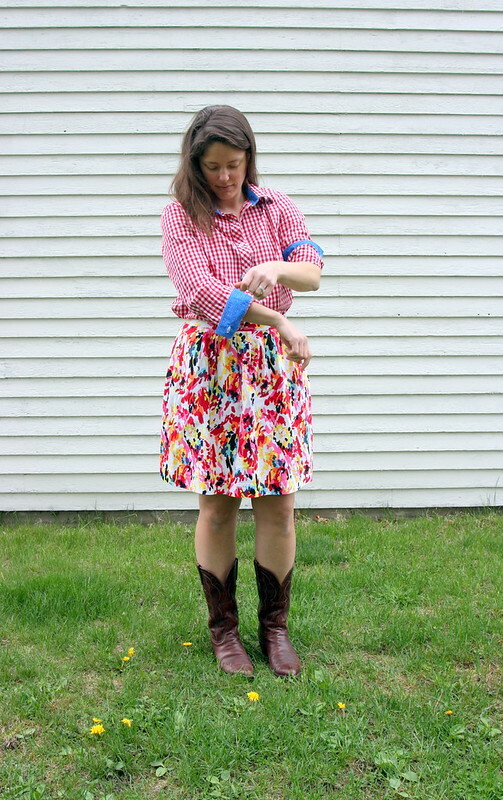 I used French seams on the arm and side seams. I’m pretty happy about those. They aren’t perfect, but they’re good, and they make me happy when I look at them. Now let’s get to the fun details I built into this shirt. 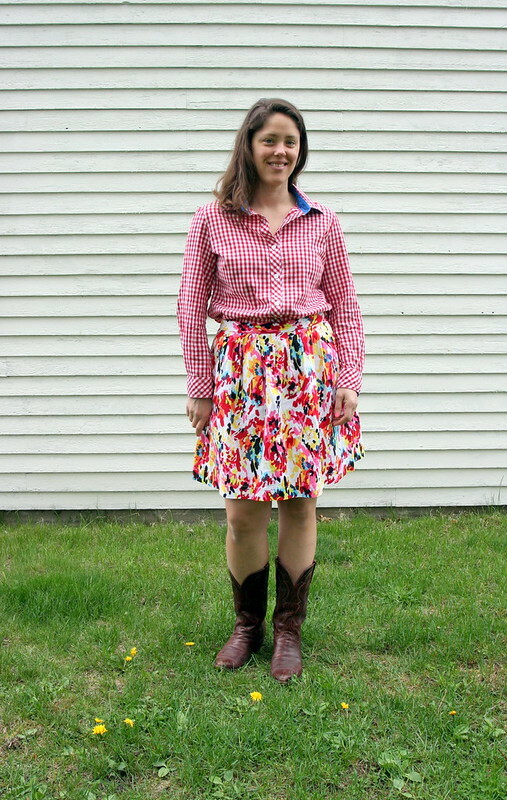 For starters, I did not try to plaid match anything. Once a gingham is this small (1/4″ squares), I officially let myself off the hook. I just don’t care. What I do care about is being able to contrast the straight horizontal and vertical lines of the gingham with some diagonal bias lines. I put the outer back yoke, the front button placket, the cuff placket, and the outer cuffs on the bias. 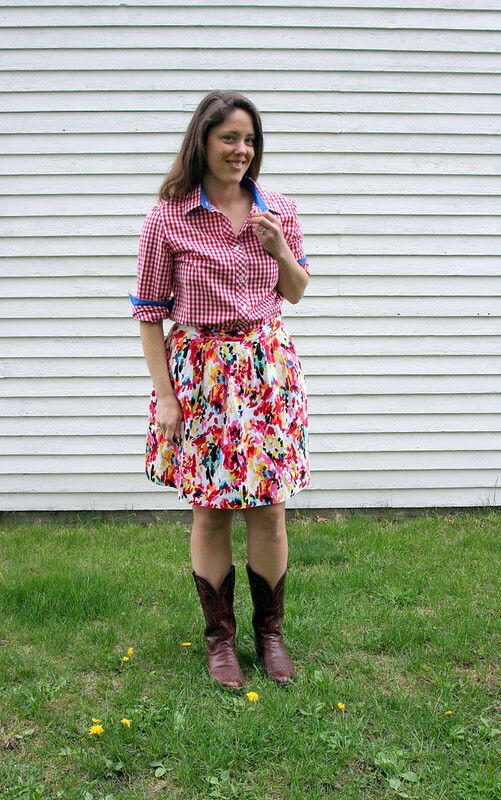 I debated doing the same on the collar stand and collar, but left them on the straight of grain this time so they would contrast with the yoke. I added blue accents to the insides of the cuffs, the inner yoke, the inner collar stand and the underside of the collar. It took me awhile to find a blue that I liked with this gingham, but I’m really happy with this. The buttons were also good finds–they have a subtle design, but when I saw them against the shirt, I knew they were right. 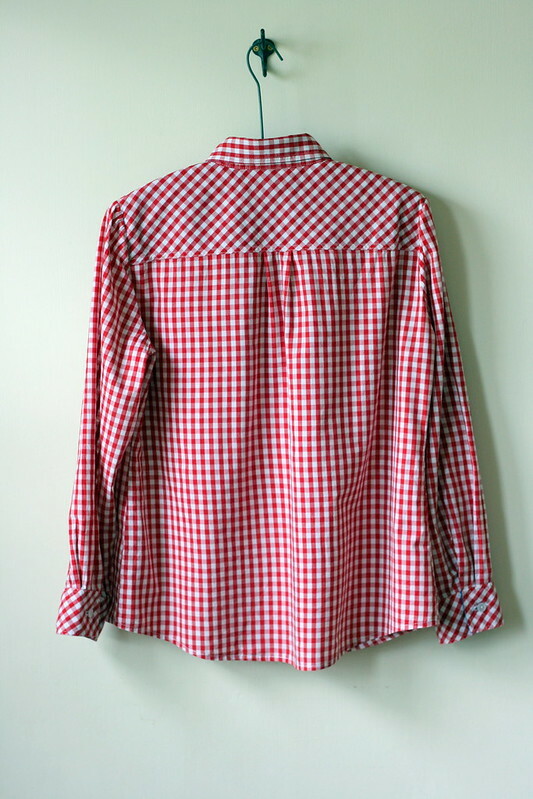 This is the second gingham shirt I have made (the first is here), and while I sort of thought that cotton gingham was pretty similar across the board, I should have known better. 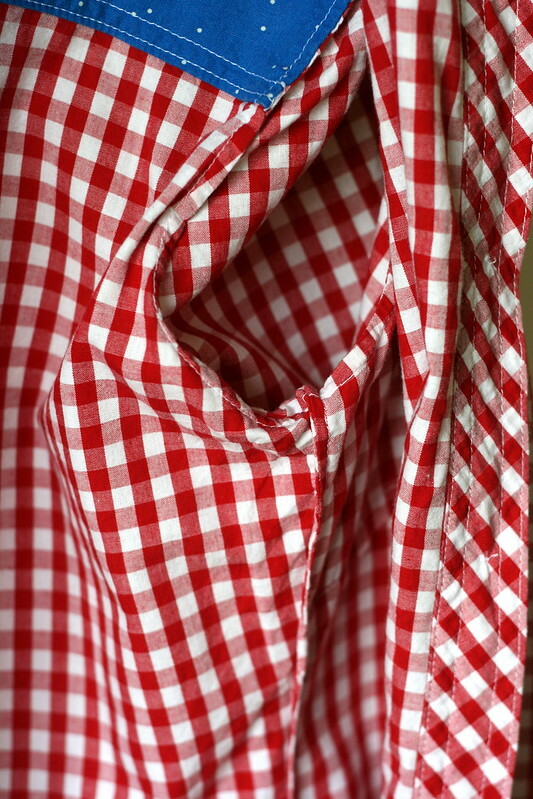 My first gingham was a great deal at Hancock’s (RIP, Hancock’s! ), but the quality isn’t great. As soon as I made it, I was wondering how long it would hold up. No regrets or anything, but I doubt it will last 10 years. The feel of this is much better. 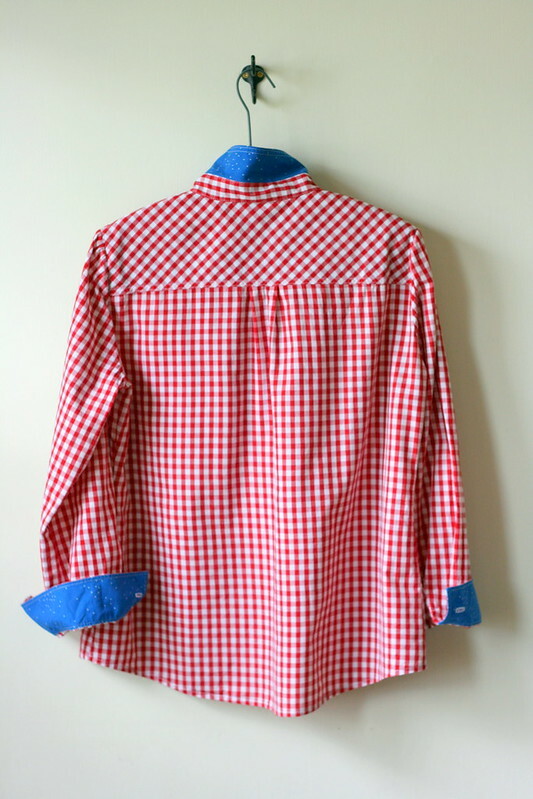 Maybe it’s just the difference between actual quality shirting fabric and run-of-the-mill gingham. Lesson learned. I think this red and white one will be around for a while. 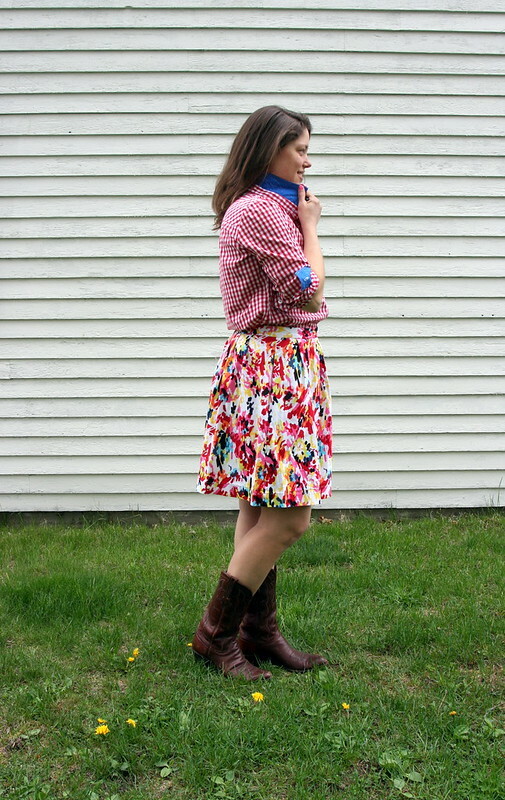 So, now it’s just a matter of celebrating spring in my preppy new shirt! Hooray! I love the fit. I love the fabric. I love the pattern. This is a great shirt. Bonus: it’s one of my 2017 Make Nine projects. One more done! 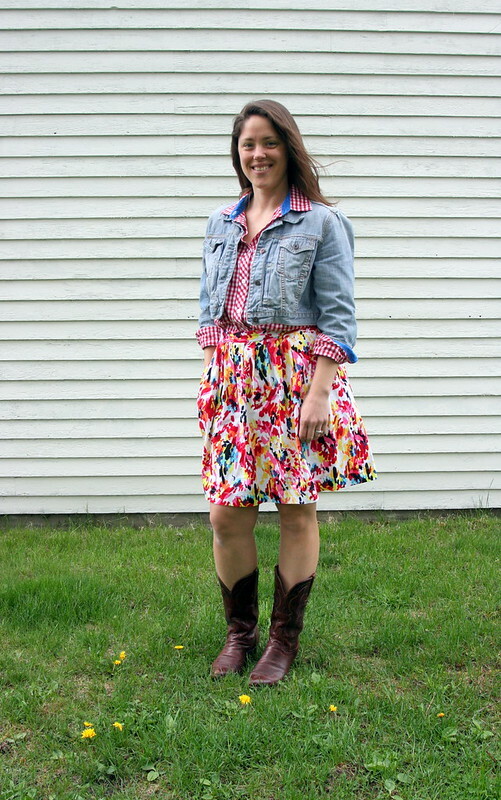 After the crazy outfit in this post, maybe you’d like to read about how to successfully pair prints in this excellent article by Kenneth D. King for Threads Magazine. 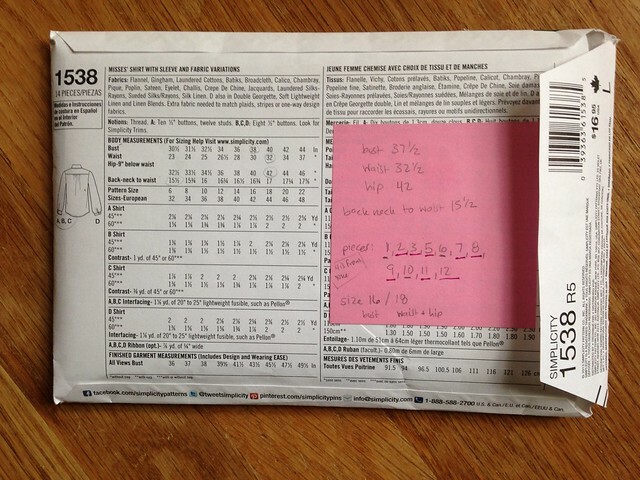 Thanks to this article, I now know why this combination works (well, at least why I like it). I’m not a big nail polish person, but I’ve been wearing hot pink covered with a big glitter clear coat, and it has been really fun. Both came from Claire’s. If you are looking for fun nail polish, check them out. And here’s a funny signs video to give you a few laughs. Have a great weekend!